So how’s that for clickbait? Lord only knows what this syntax-muddling lothario has gotten himself into in 900 years. Okay . . . sorry. But give me a minute, and maybe that theory could limp out of this conjectural waste of time without falling down. And I don’t care how many prequels or substandard, retrograde loopbacks you make–you’re never going to be able to nail down the predilections of a 900 year old muppet–no matter how hard you try. And Yoda did manage to imply his shelf-life was still viable at 900. Chances are, the guy that could levitate an X-wing out of the swamp at that age probably had a few randy exploits a couple centuries back. Say what you will, but Star Wars, The Force Awakens has engendered enough heresay, speculation, cogitation, contemplation, and aggravation to last any ONE of us a lifetime. And I’m about to toss in with my own. And no, I don’t care if it’s already been posited by someone–because the overstuffed, crowdsourced, en masse glut of possibilities has probably exhausted every possible genetic algorithm concerning Rey. I’m just here to get traffic. Chill out, man. 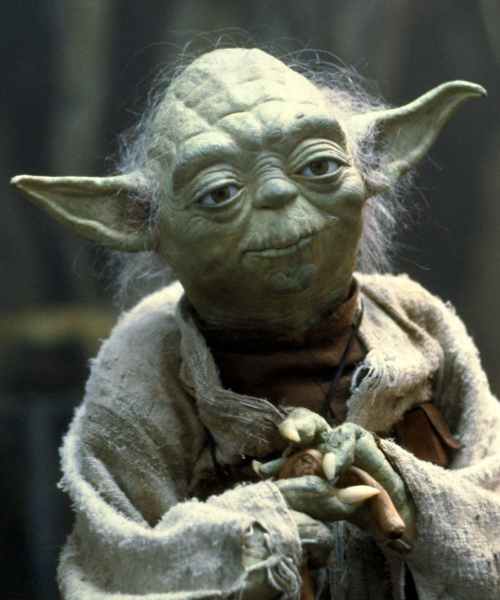 Okay, I’ll drop the Yoda-tryst thing. It’s stupid. And the idea that the diminutive Jedi was involved in ANY procreative act also engenders a mental picture of Statler and Waldorf heckling him during the courtship from a Death Star balcony. And yes, I am writing this being fully cognizant of the fact that JJ Abrams managed to tell a kid that Rey’s parents were not featured in Episode VII–thus supposedly evaporating the first reflexive theory that Luke Skywalker is Rey’s father. But I’m not convinced that his statement actually commits the obliterative act. And yes, if you follow the link, you will see that Abrams ultimately walked the statements back–most likely at the barrel of executive guns. He did in fact say that her “parents” were not in the film, and I think that might give him a bit of wiggle room on the plurality–since the question “are either of Rey’s parents in the film?” was not asked. Dedicated audiences of serial cable TV can tell you–these guys play fast and loose with the truth all time. Anyone notice something interesting, assuming that Leia has only one brother? That’s right. Commas are missing. With the support of the REPUBLIC, general Leia Organa leads a brave RESISTANCE. She is desperate to find her brother, Luke, and gain his help in restoring peace and justice to the galaxy. The commas are in bold lettering. Now I don’t believe for a minute that this was an accident. In a world in which every single frame of footage is poured over endlessly–this little slip wasn’t about to go unnoticed. It just simply can’t be. But that doesn’t mean we aren’t being trolled. And if we are, I am happy. Because I happen to love trolling. So here’s my theory. Rey is a niece to Luke–the child of a sibling that carries the usual, overabundance of ad hoc pretentious to pseudo-necromancy as well as traumatic, flashback-inducing relationships with heirloom light sabers. For the first few days the film was viewed, the idea of Rey being Luke’s child was almost a sacrosanct fact. But sheer boredom, and the narcissistic need (including mine) to hash out more and more plausible story arcs made that theory boring real quick. One thing is for sure: we could all find ourselves prostrate at the foot of Occam’s Razor. Rey could very well turn out to simply be that: Luke’s kid. 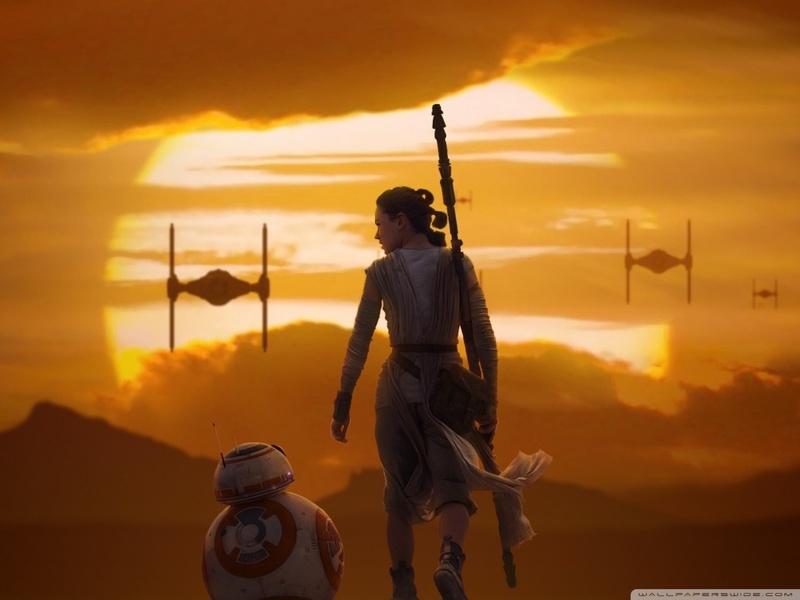 This entry was posted in Blogging, Entertainment, Film Making, Uncategorized and tagged Abrams, father, Force Awakens, leia, Luke Skywalker, Rey, Solo, Star wars. Bookmark the permalink.